This newly manufactured 380 Auto ammunition is PERFECT for target practice, range training, or plinking. It is both economical and reliable and is produced by one of the most established ammunition plants in the world. The Tula Cartridge Works was founded in 1880 and is currently one of the largest ammunition manufacturing plants in the world. The Tula name has gained a following worldwide for its rugged, reliable, and economical product. This cartridge complies with CIP requirements and the casing features a polymer-coated steel casing with a non-corrosive Berdan Primer. The projectile features a bimetal jacket (contains steel and copper) and a lead core resulting in excellent ballistics characteristics. I have a Taurus PT738 .380 for fun and carry. I had a few problems early on with FTF, FTE but mostly jamming. My personal experience was a failure rate of nearly 1/4-1/3. That's pretty unreasonable especially if it's your PD weapon. I don't have any problems with other manufacturers - Federal, Remington, Winchester. 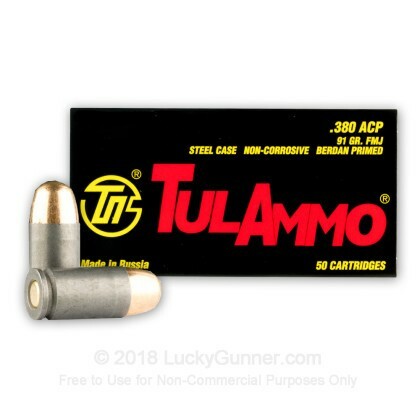 I do not recommend this ammo. Besides, it's made in Russia. 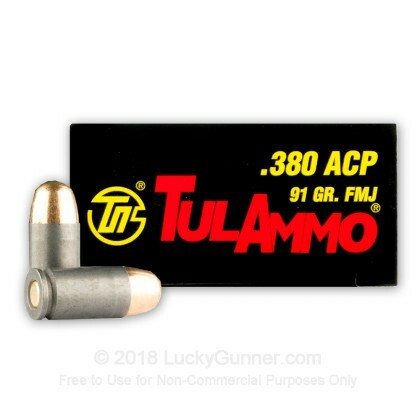 So my wife bought 2 boxes of these .380 ACP 91gr fmj. Because she wanted something cheap for target shooting her sub compact. Price was great.. cheapest fmj on the shelf. Rounds were clean and seemed normal. After the third consecutive malfunction (failure to extract) I thought perhaps there was a problem with the pistol itself. So I run a mag of Winchester ammo thru without issues. I compared the two side by side and notice the the Tula has a wider lip on the bottom of the casing which wouldn't allow the extractor to fully pull and kick the empty case out. Really good transaction and a good product. G-42 fired it without a single missfire!!! 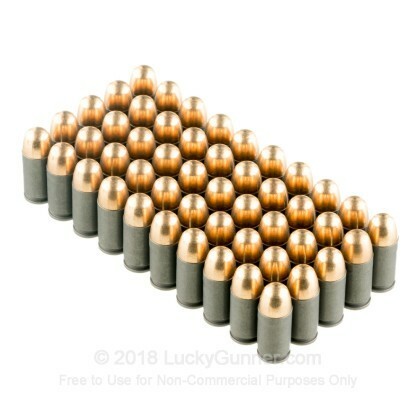 I have only put 4 boxes of this ammo through a Glock 42 but I have not had 1 single FTF or FTE. I put them over my Chrony and got an Avg vel of 964 with an extreme spread of 48 and a Std Dev of 16. The only other ammo that got a slightly tighter variation was Federal 95 gr FMJ but it only avg 840 fps. 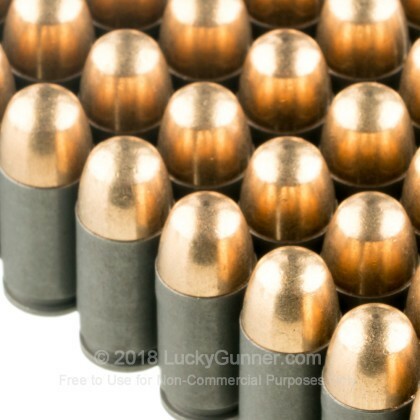 if you have a glock 42,.. You will love this ammo! Best product availability, price and timely delivery. I am teaching my grandson to shoot firearm's. I needed some cheap idea for him to practice with. The Tula ammo. fit the bill just fine. We had no problem's with this stuff. Easy to clean up, no jam's and cycled fine. The delivery was fast and on time. I will buy more of this stuff the next time I go out with him to practice. I am a long time TulAmmo user. I have probably used 30,000 rounds of it in .45 and 9mm over the years. I never bought the "dirty ammo" verbiage since it always worked fine for me. I had a FTF or FTE now and then, but it was very rare and at a similar rate as conventional brass. Then I ran into the 380 TulAmmo. Ouch. Very very bad. If you hold it up next to other types - Federal or Hornady for instance - you can visually see that it's fatter and not milled correctly. If you take out your barrel and drop a bullet in the end, you'll see that it doesn't seat correctly. The end sticks out farther than conventional brass cartridges. I don't know why. In both P238 and P232, we had multiple FTF, FTE and FTRs. This was in two different boxes of TulAmmo 380, before and after using Federal brass which worked perfectly fine. Some problems jamming and is a bit dirty. Called customer service. They recommended Frog Lube. Got it from another vendor. No problems since I cleaned my gun and treated it but knowing the problems I had will probably switch to brass..
Works good in my Ruger LC9. Out of 1000, only had 2 that didn't fire. -My CZ will eat anything, including children. -There appears to be less laquer sprayed on Tula than other steel cased ammo. That being said, I had multiple failures to feed, eject and fire with the Tula ammo in the Walther PK380. Mind you, this is not an indictment of this particular brand or ammo. Your mileage may vary depending on your gun. 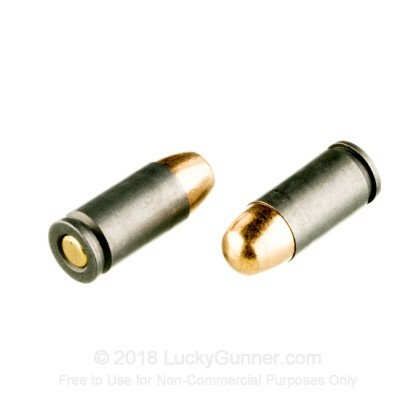 However, if you do carry a Walther PK380 as your primary or backup gun, I would recommend brass cased ammunition only. 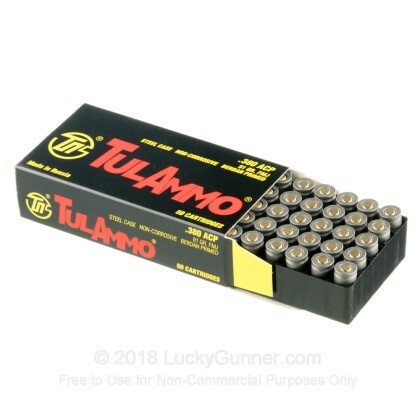 We also have this 380 Auto - 91 Grain FMJ - Tula - 1000 Rounds ammo in stock in a bigger quantity.